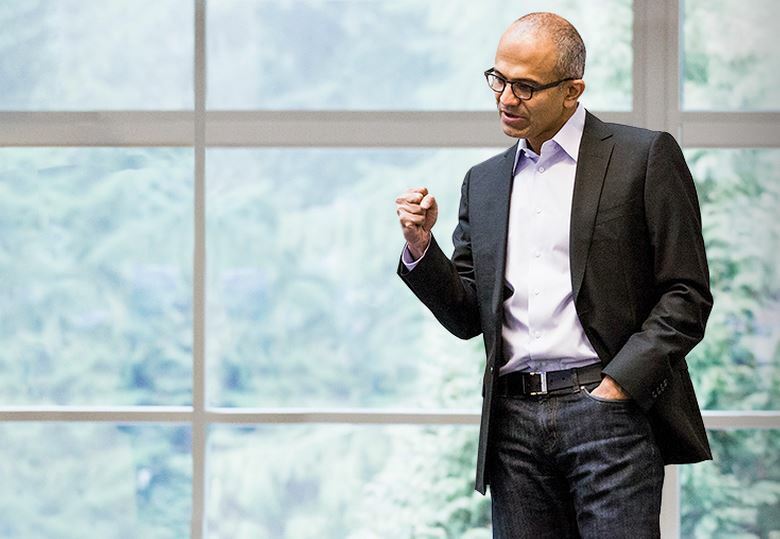 As the first male keynote speaker of the Grace Hopper Celebration of Women in Computing, Satya Nadella, CEO of the world’s largest software maker Microsoft, was hoping to continue revamping the company’s image. While he admitted he “was petrified” to the crowd of 8,000 (7,500 women and 500 men), it was for a good reason. The tech industry itself has been under fire for the gender gap that can only be described as a void of women. The CEO was interviewed by Microsoft director Maria Klawe. While the interview started out friendly and fun, an ill-fated comment about women’s wages and raises took the conversation into an awkward turn. Nadella shared a story about his rise to CEO in tech world. While trying to manage his career, he was told by a female boss to “Settle down. Believe in the system and the right things will happen.” He needed to stop pushing so hard to get promoted. The question on the table was the tactful approach for women to ask for a raise. He repeated the sage advice given to him by a superior. This was not met with a very positive response. Klawe tried to salvage the moment by asserting that she left $50,000 in salary on the table when taking jobs at Princeton and Harvey Mudd because she didn’t negotiate hard enough for the salary she deserved, or that a male counterpart would receive. She urged women to get what they are worth and to think they are worth as much as males in their field. While diagnosis of Celiac Disease can be hit and miss leading to high costs and sometimes the need for painful procedures for verification, it can be diagnosed in other ways such as eliminating foods and waiting to see the results. The reality is only around seven percent of the population actually need to be on a gluten free diet for Celiac disease or other forms of gluten intolerance. Even so, there are many others who view the gluten free diet as a healthy way to eat even if they don’t meet the medical parameters of being gluten intolerant. While many people feel gluten free is healthy, the fact is that it can be even less healthy than eating gluten depending on how you eat. Here are some facts you need to know if you decide you want to go gluten free. In this fast-paced world, we rely heavily on processed products and going gluten free requires a lot of time and effort in the kitchen. Cooking from scratch is becoming a lost art and with such changes, it is logical that anyone who wants to go gluten free may blindly follow a label. Living a gluten free lifestyle goes beyond the kitchen. For starters, the gluten protein is used as a binder. It is found in cleaning formulas, laundry detergent, shampoos, soap and toothpaste, just to name a few places. If you’ve not lived a gluten free lifestyle before, remember that gluten is also a protein that embeds itself in almost everything with pores – granite counter tops, ceramic tile, plastic storage bowls etc. One cannot truly be gluten free without sanitizing their entire lifestyle. 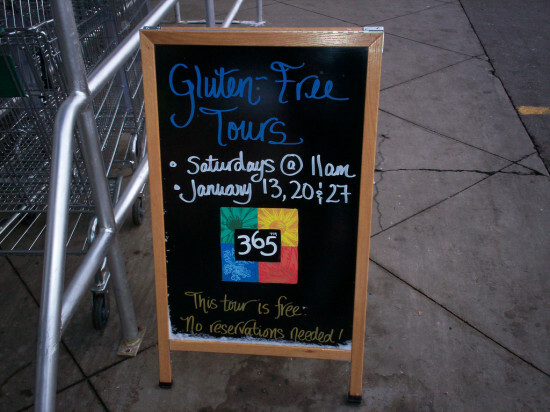 If a person wants to be on just a gluten free diet, there are some things everyone needs to know before proceeding. A gluten free diet can remind you of eating cardboard when it comes to replacing foods that usually have gluten in them. So make sure that in an attempt to make it more tasty that you don’t over salt or over season, which can cause other health issues. In the beginning, you’ll want to track your intake of vitamins and minerals to make sure you’re not losing anything in the mix. 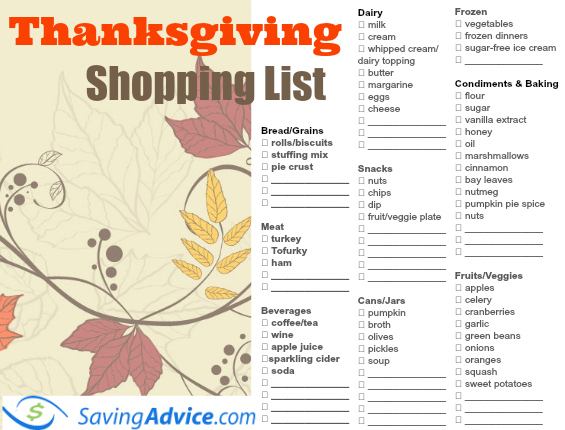 If you are, don’t forget to find a way to supplement those missing necessities. 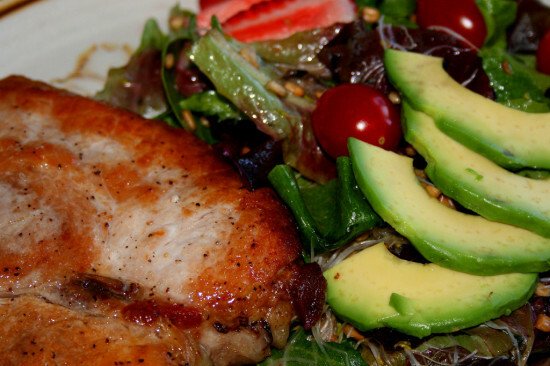 You will have to learn how to really cook mostly from scratch to be truly gluten free. Trading in over-processed and preserved foods for other over-processed and preserved foods with a gluten free label does no one any favors, it may increase a person’s sodium levels, and it can actually be more unhealthy than having gluten in your diet. Gluten free food is less sustainable and requires more preservatives if it’s prepackaged for the consumer. This causes higher overhead for shorter shelf life. High overhead for manufacturers increases the cost of these foods. Manufacturers also know they can charge a premium price for gluten free food. Meats, in general, are gluten free. If for example, the pigs are fed wheat bread however, there can be some contamination. So it’s good to know where you’re buying from and their practices on additives and diet for their products. In reality, this is something that should be advocated for any meat purchase, not just to certify that it is gluten free. Be sure to read product labels. There is actually no certification to prove something is gluten free and some products you may think are gluten free actually aren’t. Chances are you are going to have to spend long hours in the store reading the labels on everything before you buy it. Note the following examples. Potato flakes used for making instant mashed potatoes can include wheat flour or gluten. Many products made with oats say they are gluten free but they do not have a dedicated gluten free facility for processing, which means there is a high chance of cross contamination. Fresh fruits and vegetables should become your new favorite snack. It’s a healthy alternative and a gluten free one that can satisfy almost any craving. You may want to switch to lower fat dairy products because you’ll probably find that you will eat more of them to balance out your diet. Don’t go overboard though. Science has shown that you can make your body intolerant to foods by eating too much of one thing. Gluten free living is a process, and it can be time consuming. Weigh your options and make one of them just eating healthier – the information above can be used for that as well. Have you ever wondered what type of impact tourism can have on the natural environment? Researchers at Montana State University, in a joint effort with researchers from the University of Applied Sciences in Germany, have done just that. Using a simple mathematical model, scientists have reconstructed the original colors of Yellowstone’s hot springs — before we polluted them. The two universities have constructed mathematical models to show what the springs looked like prior to the 1940’s. Why that time frame? Because that’s prior to the “invasion” of tourists on the natural habitat who have decided to use the springs as wishing wells, tossing in coins or even worse, not taking care of their garbage or tossing it intentionally into the springs. 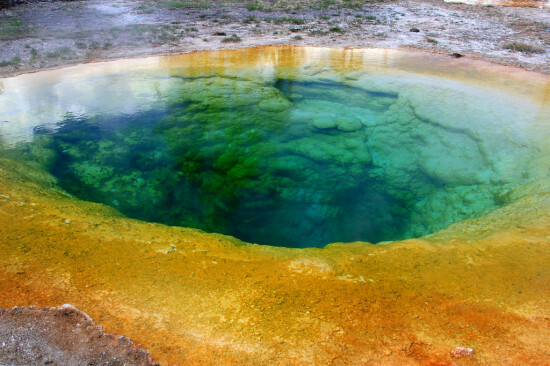 Prior to this study, there has been no mathematical model developed to measure the physical and chemical variables related to iconic pools and springs, such as those in Yellowstone National Park. They constructed a one dimensional model to reproduce the stunning colors of the springs. 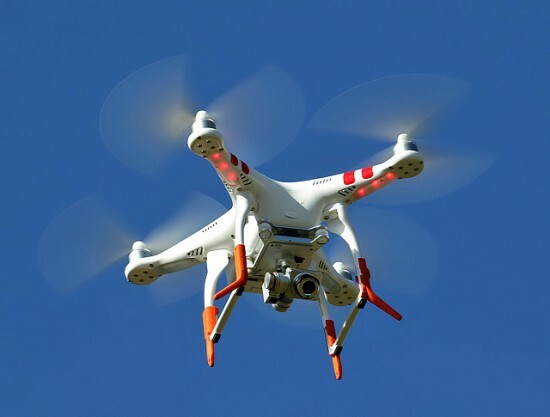 Their tools of the trade – digital SLR cameras to see all the stuff visible to the naked eye, long-wave thermal imaging cameras to get readings on the temperature of the water itself, and hand held spectrometers. The study did confirm that the change in water color is related to lower water temperatures in the springs. It is directly linked to the microbial mat composition located within the springs themselves. Items such as coins and trash, along with natural debris like rocks, are also contributing to the color change. While the researchers are not experts in thermal pools, they initially set out to study the optics and the color spectrum of the pools and springs themselves and what may affect their over all appearance. All the leaders involved in the study are actually members of the Optical Society. During their study, the research revealed more than they had originally bargained for and answered some questions no one has ever bothered to ask. So what did these pools likk like in the past? They were much more blue in color without the other colors that we have grown used to seeing in any of these, such as the Morning Glory hotspring pool. They reported their findings in the journal Applied Optics. It has been out there for years – the glycemic index. We’ve been told the glycemic index is important, but how important is it in reality? We’re told we should keep an eye on it because it affects the blood sugar levels of every human. A new study suggests that people with diabetes are the only ones who should be worried about the glycemic index of foods, and simply being overweight or obese isn’t a factor by itself to go on the diet. Some have even argued all people should stay on a diet which keeps their sugar levels down, and that the glycemic index should be printed on food packaging as nutrition information. While a low glycemic diet can be nutritious and healthy if done properly, it may not be the most effective way to keep your blood sugar levels even. With that said, the new study authored by Dr. Frank Sacks, of Brigham and Woman’s Hospital and Harvard Medical School, looked at 163 participants over the course of two years, from 2008 to 2010, to see if the glycemic index can make a significant difference in the diet of an overweight adult. Over the course of the study, the researchers did not find much of a difference in the hormone insulin and no particular improvement in other health point indicators. There was also no change or improvement in the systolic pressure of the participant or a decrease or change of fat cells found in the blood. Prior to the study researchers suggested that the different diets may not make much of a difference, since breads and fruit are both healthy, but they are on opposite ends of the glycemic index. For the most part, the researchers’ hypothesis has proven correct. However, Sacks was very quick to note that those with type 2 Diabetes or adult on-set diabetes should pay particular attention the the index when making dietary choices. The final conclusion was a diet that includes fruit, non-fat dairy, fish, poultry, vegetable, nuts, vegetable oils and whole grains was the best ones for all adults, not just those struggling with weight issues. Ultimately, the study has proven that while the glycemic index is important, it is only important in relation to diet change if you are not on a heart healthy diet, or if you are a diabetic patient.